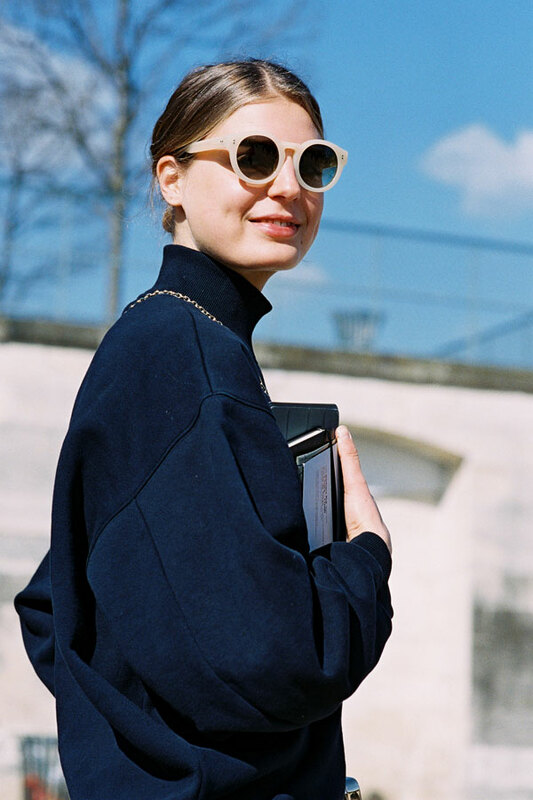 Lorena "Alix" Angjeli, after Maiyet, Paris, March 2015. Senior Fashion Editor Elle China, Leaf Greener, Tuileries, Paris, March 2015. 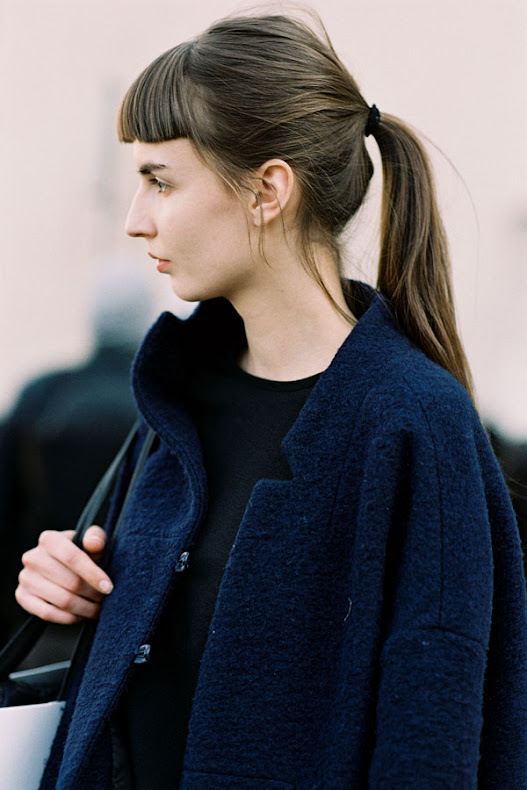 Helena Bordon, after Dior, Paris, March 2015. Charlotte Groeneveld of The Fashion Guitar, After A Show, Paris, March 2015. The other half of Charlotte's gorgeous outfit (those fringed boots!) here. Julia Hafstrom and Yulia Ermakova, after Celine, Paris, March 2015. Estonian model Harleth Kuusik, after Kenzo, Paris, March 2015. It's all in the little details: patchwork jeans (with a subtle hint of sequins) and leopard pumps. 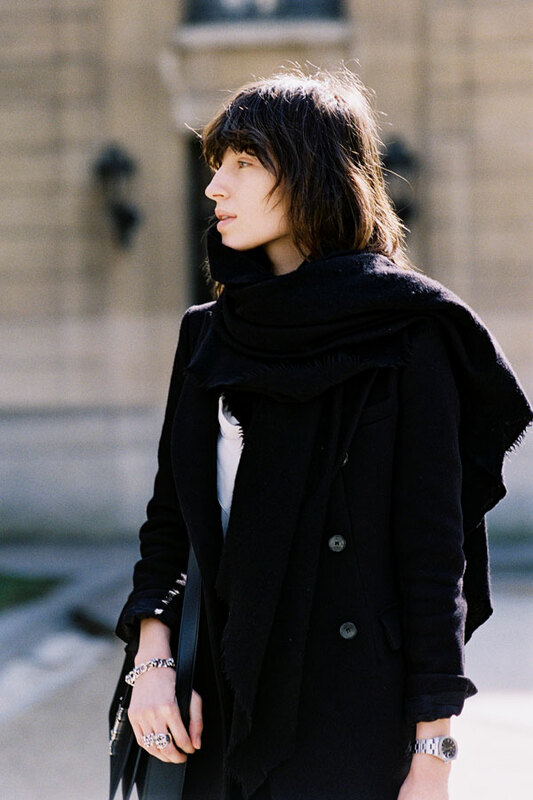 Writer Claire Beermann of C'est Clairette, Tuileries, Paris, March 2015. 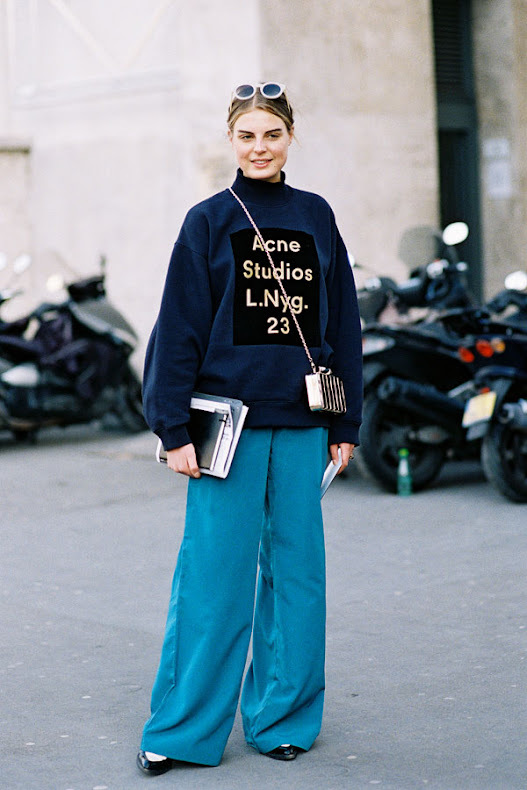 Wide leg pants in a beautiful shade to beat the winter blues. 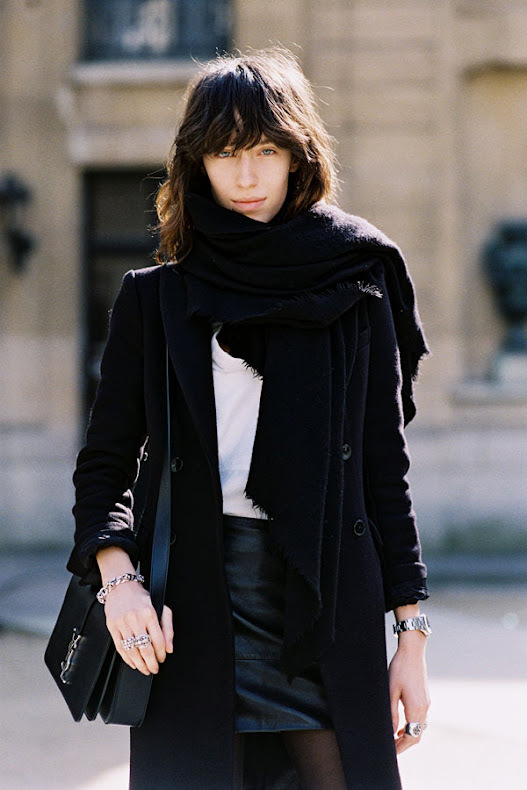 Stylist and Fashion Director Vogue Turkey Konca Aykan, before Dior, Paris, March 2015. 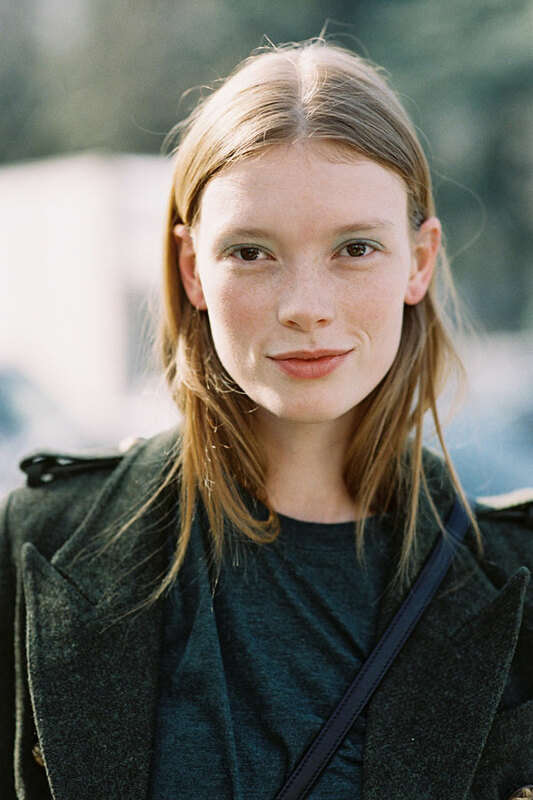 Elena Perminova, before Chloe (I think! 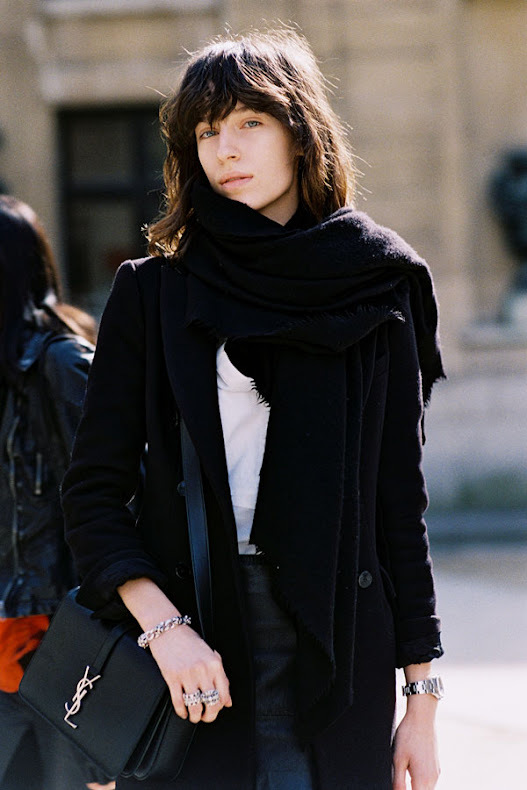 ), Paris, March 2015. Chloe macrame lace panelled blouse (we shot this for an editorial for Grazia.it and it is gorgeous in real life......although I was terrified of ripping it!). 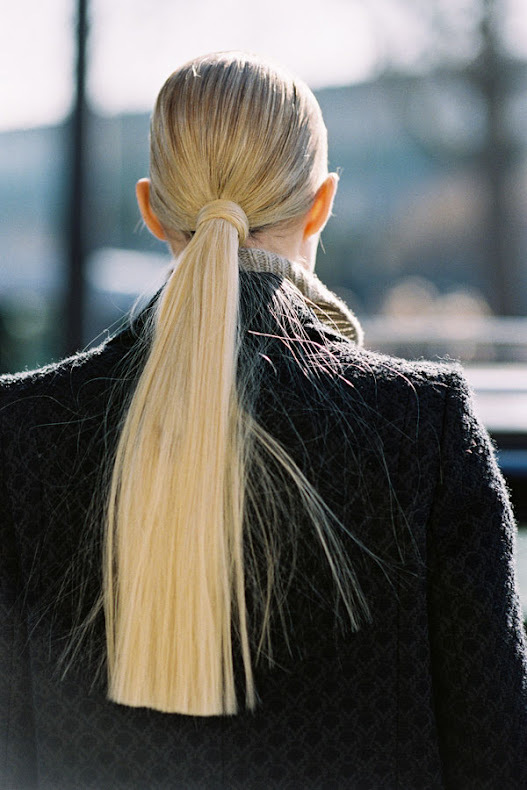 Head Womenswear Buyer Hoyer, Annabel Rosendahl, after A Show, Paris, March 2015. Belt over sweater. Love this. And that swoon-y Gucci Lady Web bag. 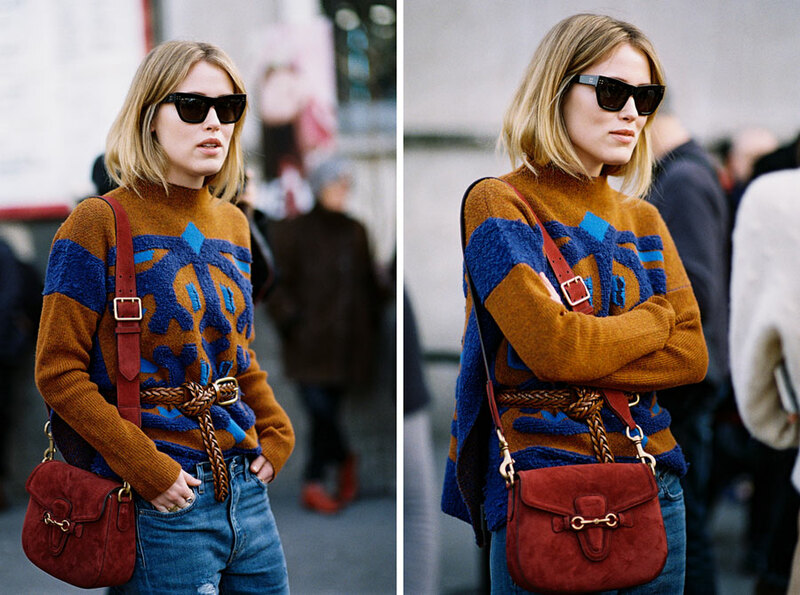 The perfect 70's inspired suede bag. 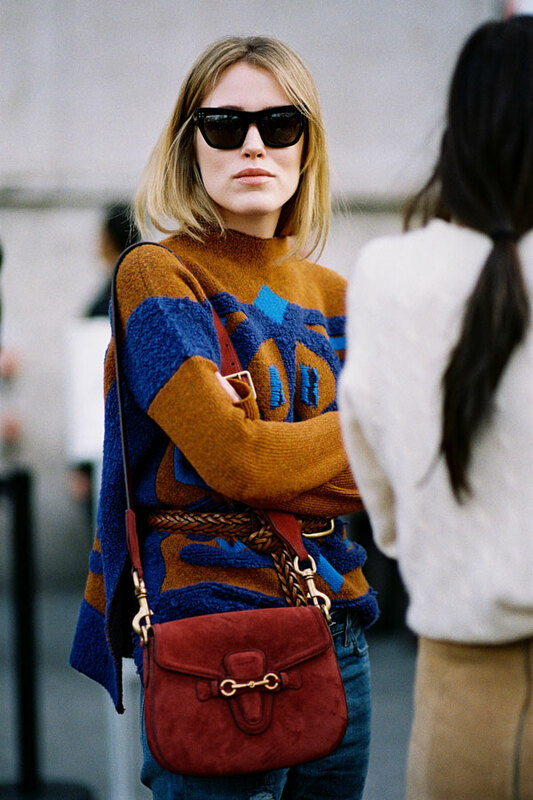 After Moncler Gamme Rouge, Paris, March 2015. 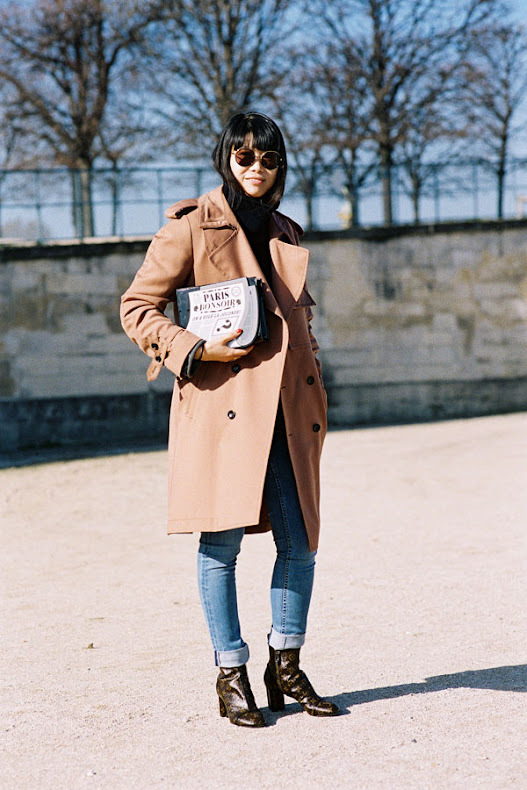 Fashion TV host and journalist (and soon-to-be mummy to another little bub! 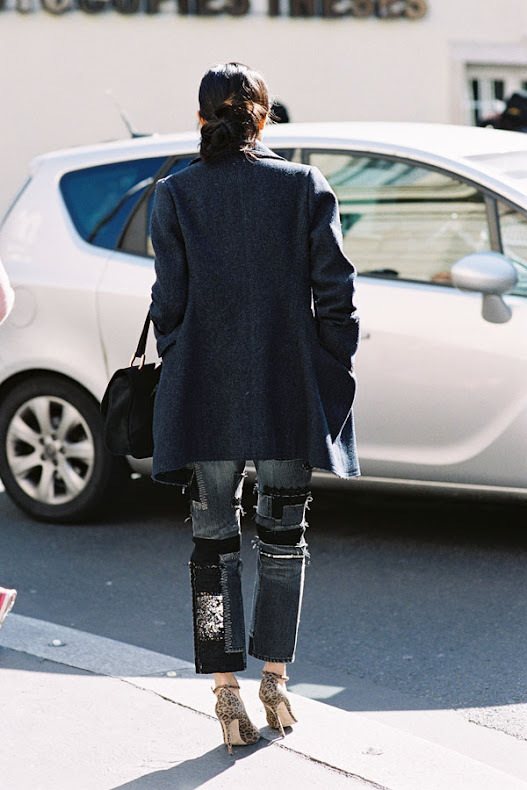 ), Tiany Kiriloff, after Isabel Marant (I think! 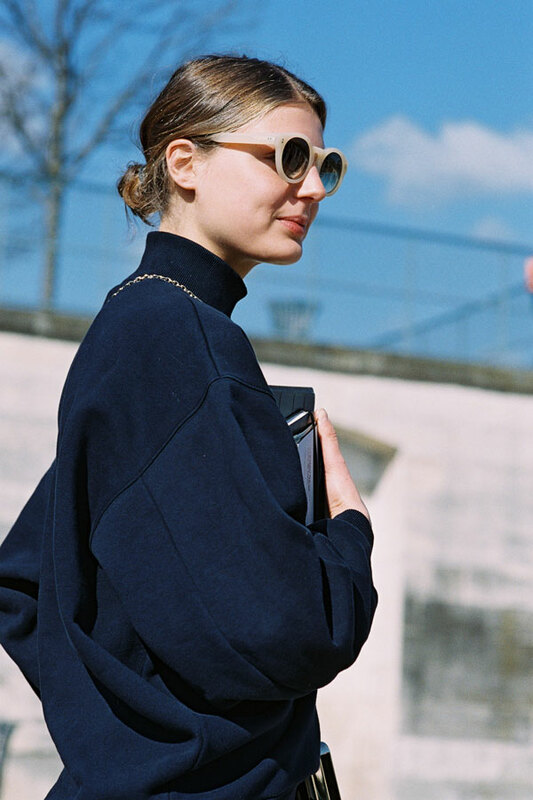 ), Paris, March 2015. 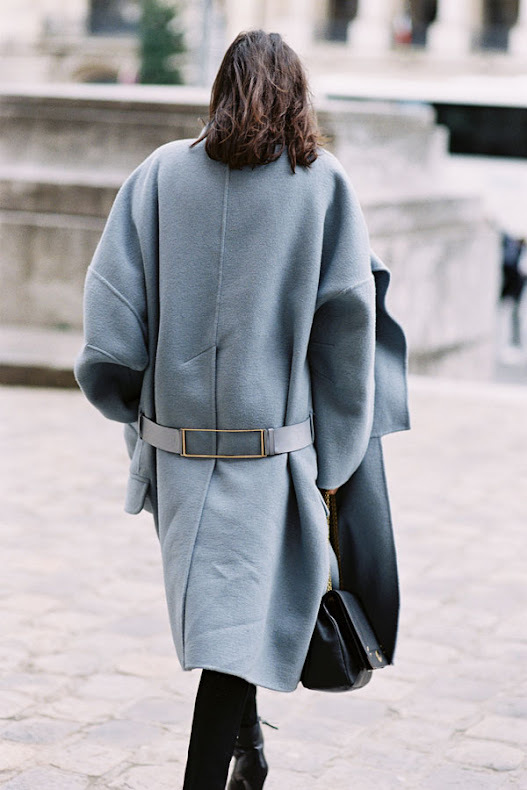 Taking the jumpsuit into autumn/winter by throwing a (very oversized!) 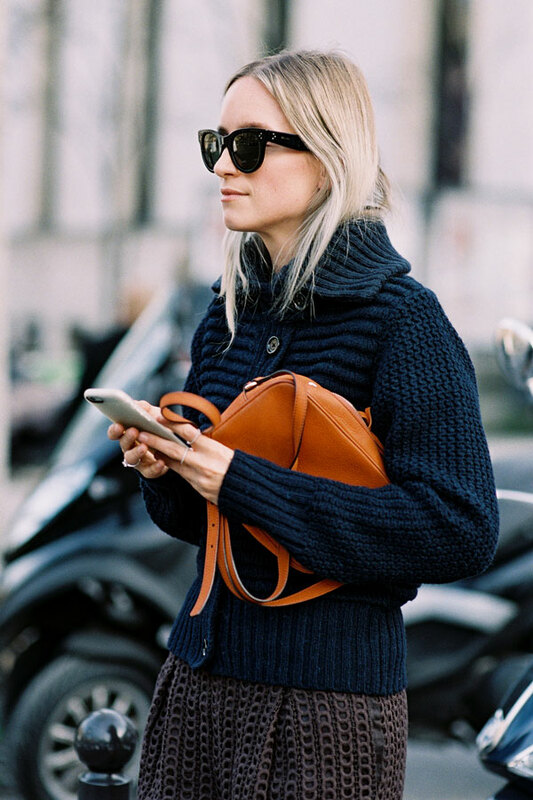 gilet over the top. British model Malaika Firth, after A Show, Paris, September 2014. 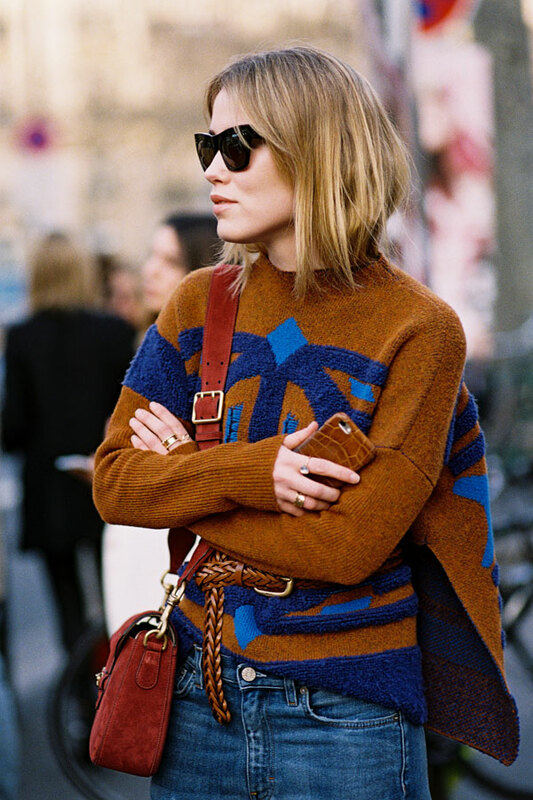 Stylist Pernille Theisbaek of Look De Pernille, after Isabel Marant, Paris, March 2015. Now that's the way to wear overalls!